Want to find out how to make a budget and stick to it? Here at Good Vibes, we’re all about giving you the skills you need to get to grips with everything money related, from committing to your weekly food shop to finding out if you could be saving more after each payday. Starting out, living on a budget can be tricky when you’re not used to thinking about how you spend your money. However, sticking to a budget can give you a greater appreciation of your money and help you spot bad spending habits and form healthier ones that will leave you with more money in your pocket. A good budget plan will help you to pace your spending throughout the month, so the chances of you being caught short by an unexpected expense are smaller, and you can still treat yourself occasionally. At Good Vibes, we want to provide you with proper budgeting tips, so you can learn how to make a financial budget that works for you, and one that leaves you with a few pounds to put away for a rainy day. 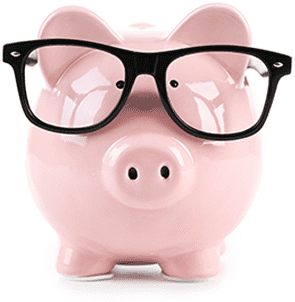 To learn how to budget, live well on the cheap, and find the places you can squeeze even the tightest of budgets to save more, look no further. Making sure you have the skills and knowledge you need to manage your money from day to day is our goal The articles in this category of our online magazine cover a range of topics, ranging from cheaper alternatives to branded products to fun DIY projects, to remaining healthy and happy while living on less money.